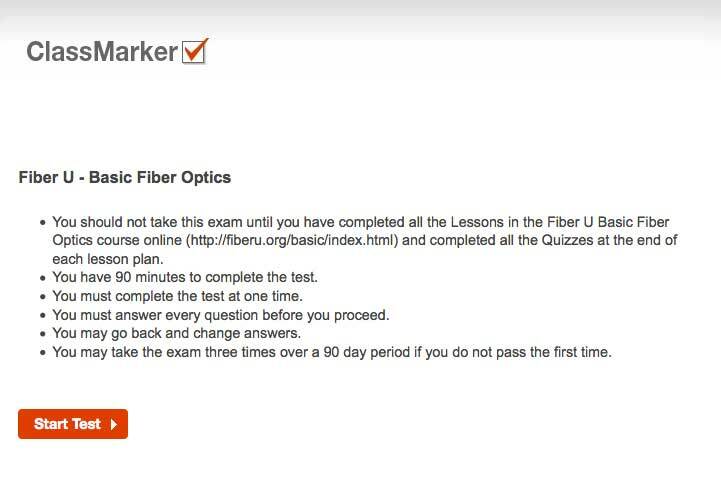 How To Take The Exam To Get Your "Certificate of Completion"
Please note: Receiving this Fiber U Certificate of Completion does not include FOA certification or membership but it does become documentation of your knowledge of fiber optics and should be part of your portfolio of documented knowledge, other training and work experience that can qualify you to apply for FOA direct CFOT certification through the FOA "Work to Cert" program. For more information on the FOA and its certification programs, go to the FOA page on certification. For information on the FOA "Work to Cert" direct certification program for those with industry experience, go here. 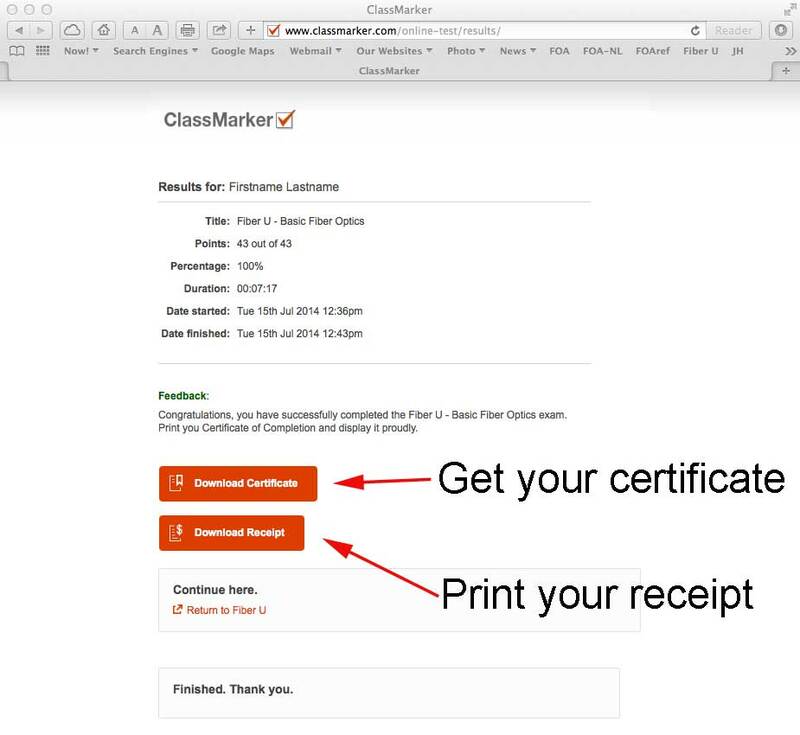 Follow these directions to take the exam and get your "Certificate of Completion." 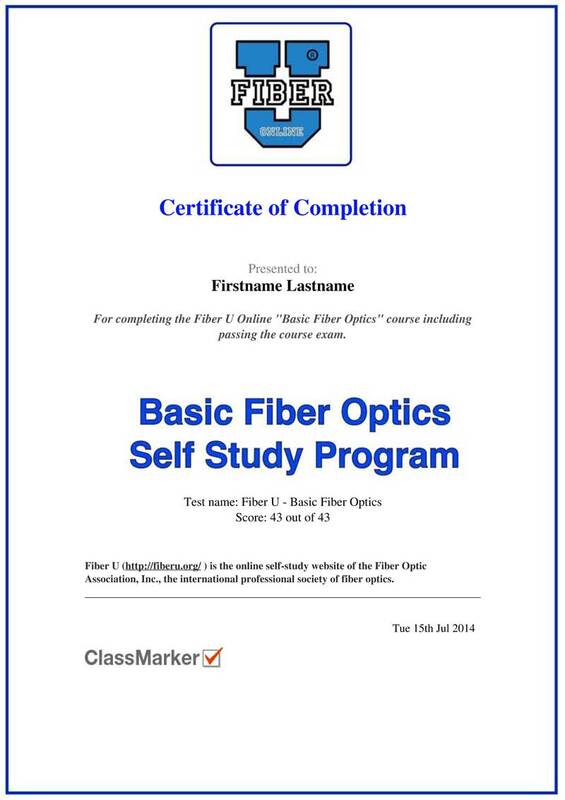 Directions are given for the "Basic Fiber Optics" course but are similar for all exams. 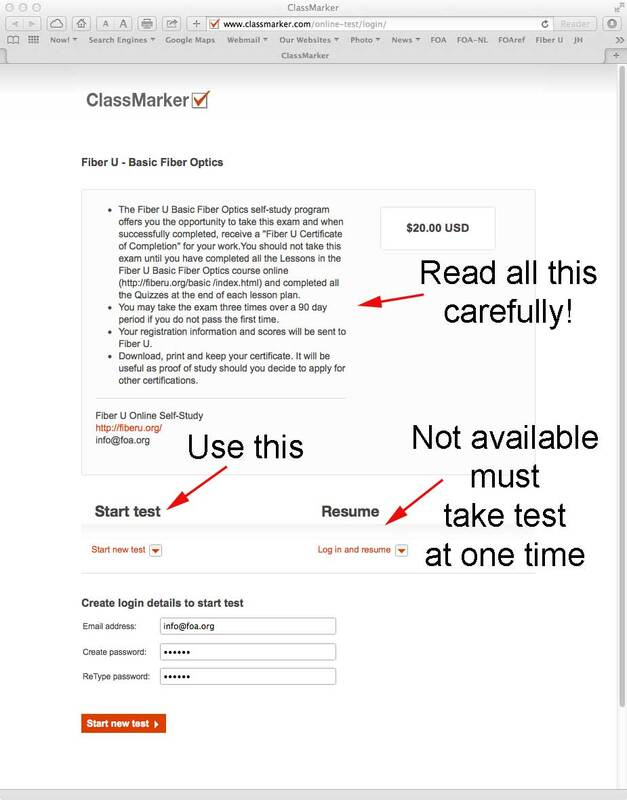 Go to the link given in the course lesson plan to register, pay and take the exam. 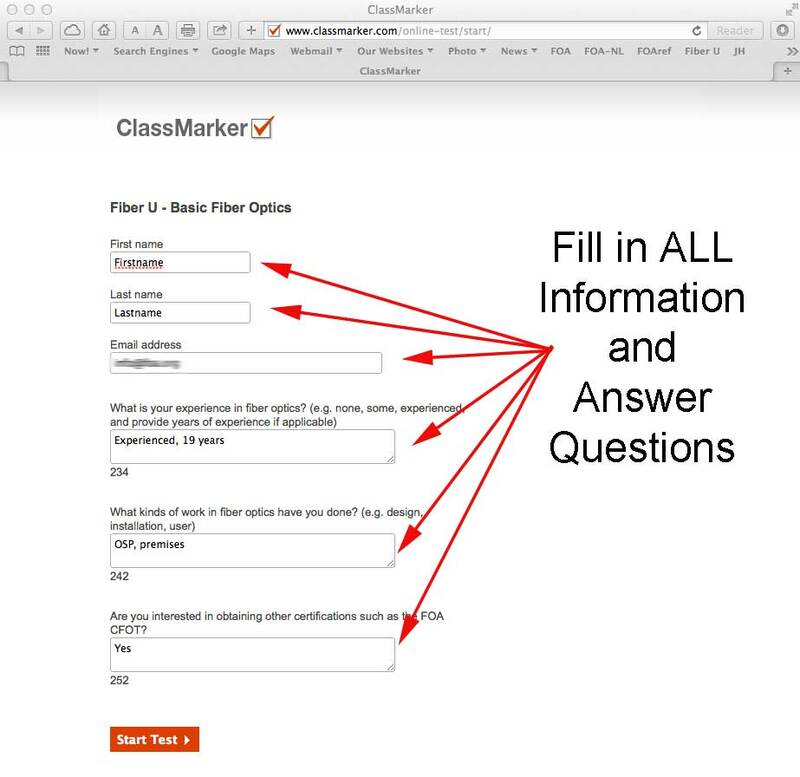 Then enter your email and create a password to take the exam. Keep a note of this password - you will need it if you have to take the test a second time! Enter all the required information. 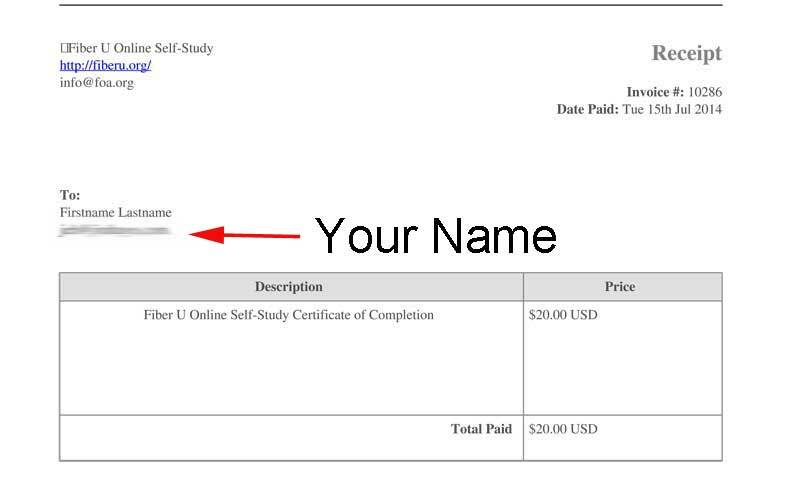 Check spelling carefully as the information will be used for creating your certificate. Click "Start Test" to continue. With the next window, you click "Continue" to pay. 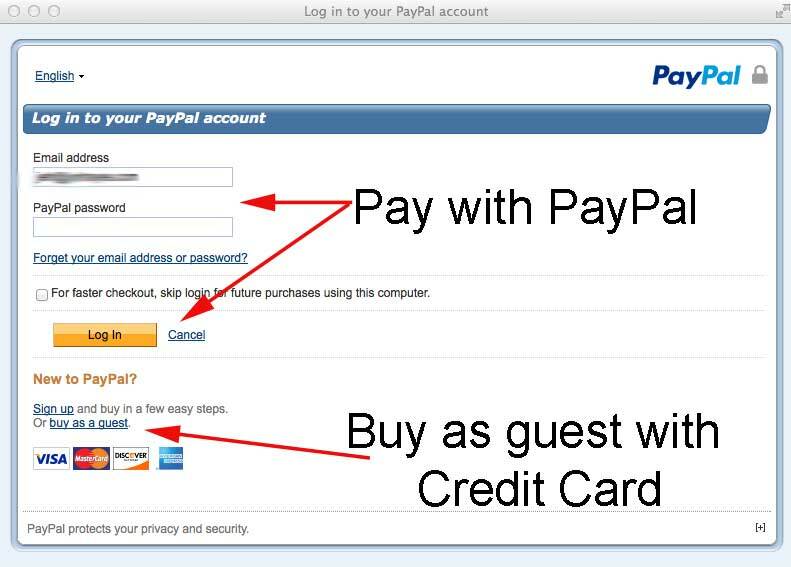 You will be directed to PayPal where you can choose to use your PayPal account (log in as a PayPal user) if you have one or buy as a guest using a credit card. Next you will see the payment form. Follow directions to make payment. 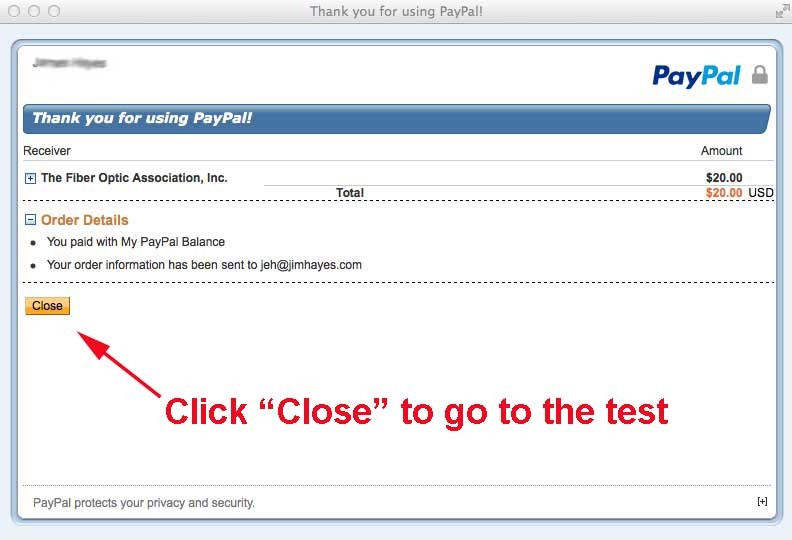 This is for PayPal. 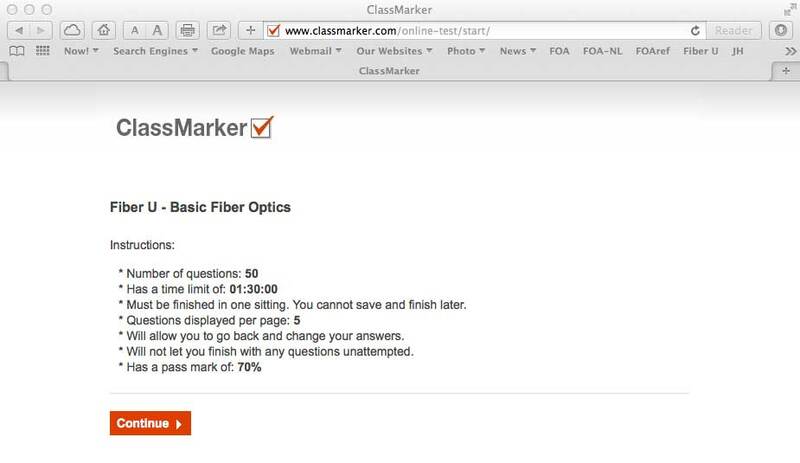 Click "Close" and you will be back at the test. Now you are ready for the test. You will see instructions. When you are ready, click "Continue." Next you will be reminded of the instructions. Read them now. Then click on continue. 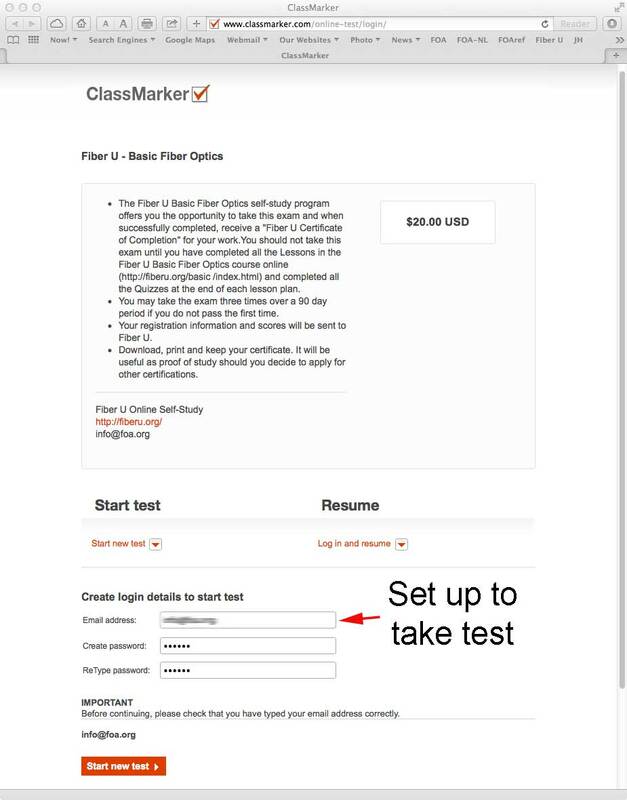 Click "Start Test" to begin taking the test. You will now begin the test. Answer every question. If you do not answer a question, you will be reminded and must answer it before continuing. 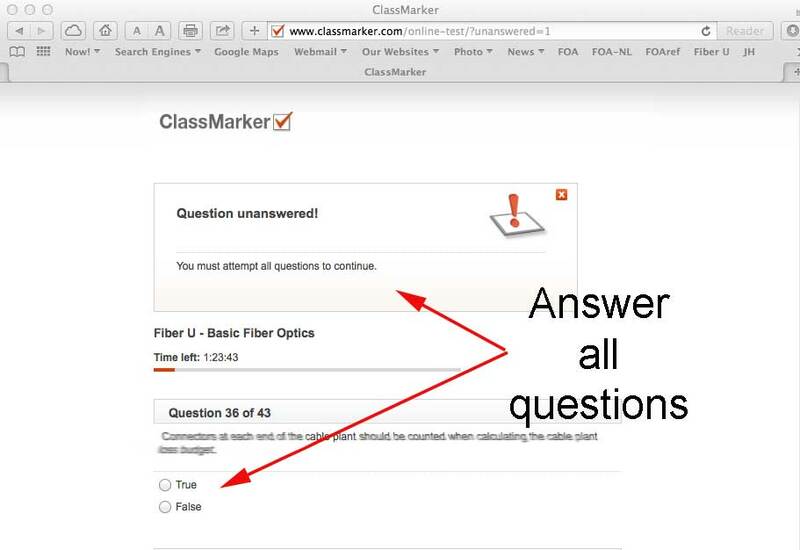 When you finish the exam, it will be graded automatically and you will be given your score. 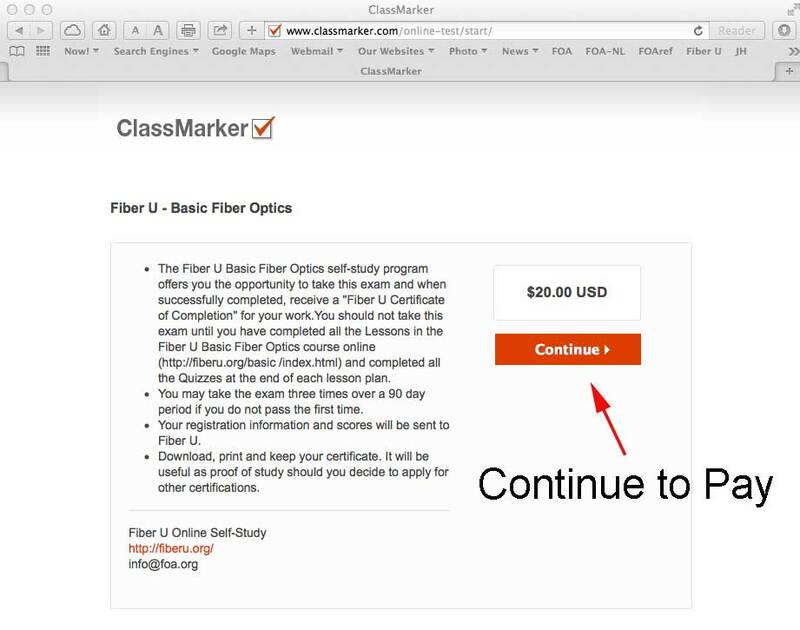 You can click on "Download Certificate" to get your "Certificate of Completion." 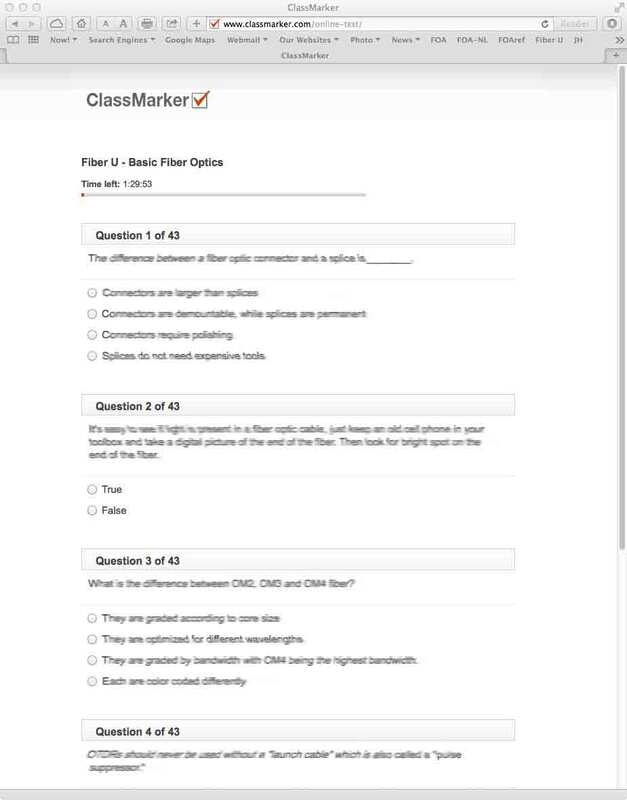 Click on "Download Receip"t to get a receipt for taking the course. This is how your "Certificate of Completion" will look.